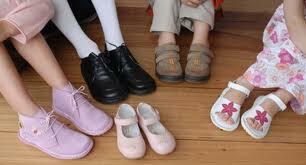 No More Shoe Removals for Kids at Airports! Well what do you know? The TSA has gained some common sense this month and has decided that children 12 and younger are less of a terrorism risk — at least as far as airports are concerned. As a podiatrist, I really hate to see people, especially children, walking barefoot through the airport. There are so many germs, from fungus to bacteria to viruses, including plantar’s warts, that can be transferred from person to person in a public place like an airport floor. I think it’s great that our children don’t have to go through this anymore, aren’t you? The agency, charged with anti-terrorism security at the nation’s airports, will no longer require children to remove their shoes before they go through airport scanners, beginning this month. “We do want to move, and are moving, to a more risk-based approach to screening passengers,” Napolitano told Congress. TSA wants to streamline procedures for low-risk passengers. This will enhance the agency’s ability to focus on passengers who either we don’t know or who are high-risk. Napolitano spoke during a hearing at the Senate Homeland Security and Governmental Affairs Committee. The new policy is expected to be implemented soon. TSA, part of the Homeland Security Department, already has used a modified pat-down for children 12 and younger as part of a pilot program to speed up security searches. Still, the agency is not abandoning all such searches or the requirement to remove shoes at times. “There is a need to keep security precautions unpredictable,” Napolitano said. “There will always be some unpredictability built into the system, and there will always be random checks even for groups that we are looking at differently, such as children,” she said.